" Atkinson] sets forth a list of concrete, innovative, and persuasive proposals meant to show that alternatives still exist, that the battle for social progress and equality must reclaim its legitimacy, here and now... Witty, elegant, profound, this book should be read." "An uncomfortable affront to our reigning triumphalists. 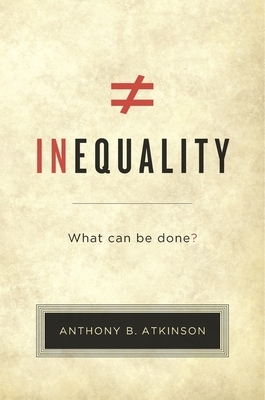 Atkinson's] premise is straightforward: inequality is not unavoidable, a fact of life like the weather, but the product of conscious human behavior.